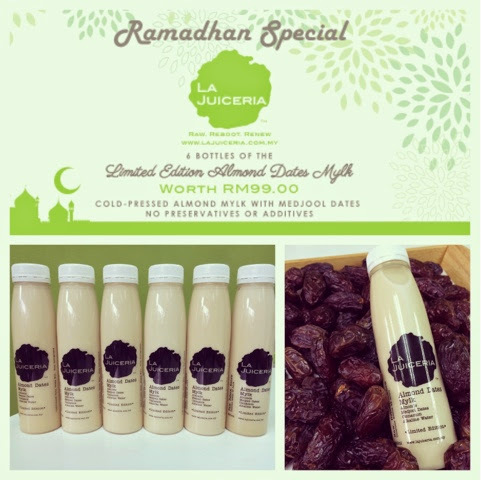 Tweet For those looking for a unique gift this Ramadan, do check out La Juiceria's Limited Edition Almond Dates Mylk. This is lactose-free milk which is made from almonds and premium Medjool dates. For sure it's something unique! Delicious and creamy -- no additives not preservatives. Visit La Juiceri'a website www.lajuiceria.com.my to order online.